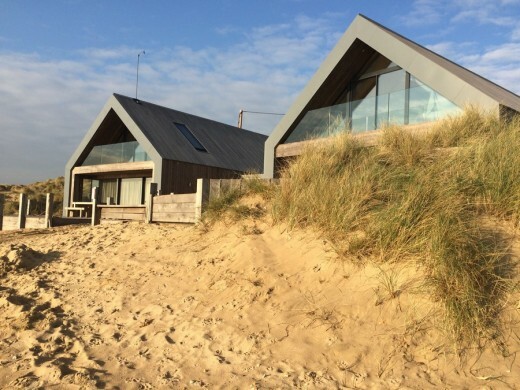 WAM have just won the prestigious Surface Design Awards for the Sustainable Exterior Surface category with Kebony for the cladding of its two contemporary beach houses located on Camber Sands, East Sussex, UK. 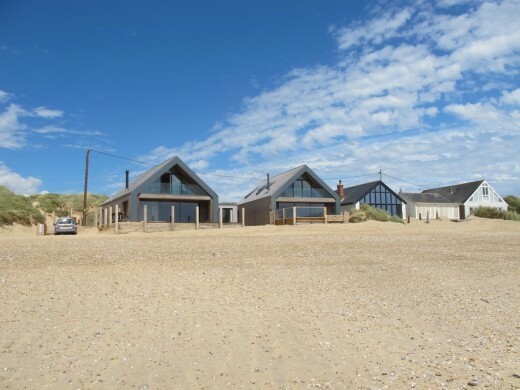 Situated between the sea and the county’s only sand dunes a designated SSSI site, the stunning beach houses offer spectacular views of the coast and unparalleled access to the beach. 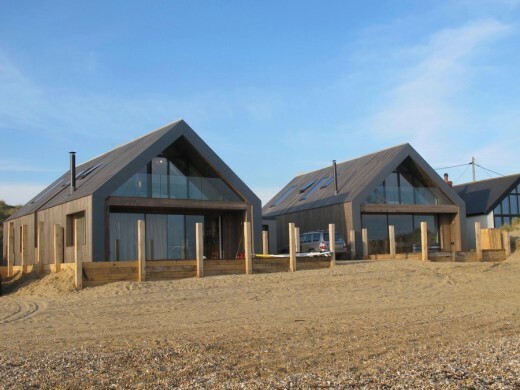 Architect Stuart Martin, a partner at WAM – Walker and Martin, set out to minimise the houses’ impact on the environment, both visually and physically. 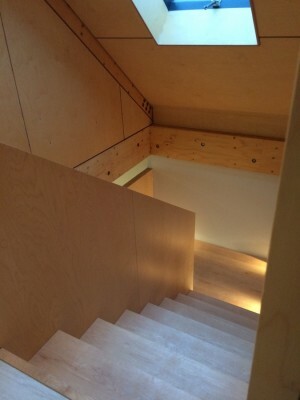 This informed the design and choice of materials throughout; many recycled and sustainable materials were used for this project including Kerto timber structural frames, Kebony timber cladding boards over a insulated concrete formwork cast-in-place. 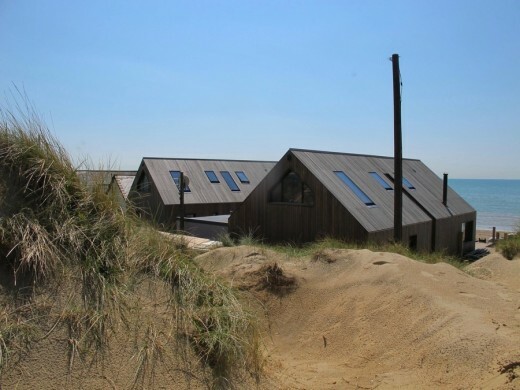 Visually the architects wanted to create a seamless continuity in the building’s structure to echo the natural colour and smoothness of the dunes, so that the buildings blend and disappear into the surroundings. 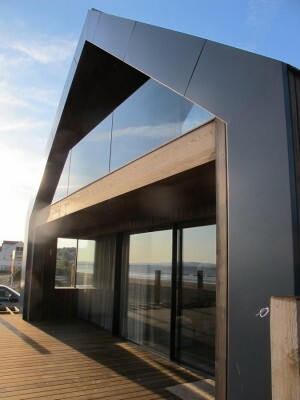 Walker & Martin Architects and Kebony receive the prestigious Surface Design Awards for the Sustainable Exterior Surface category. 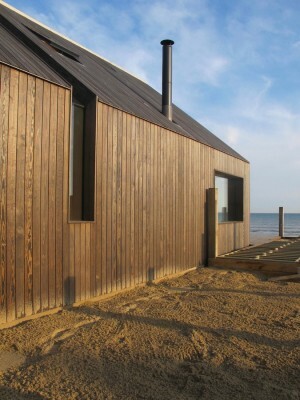 The prize was given for the wooden cladding of two contemporary beach houses, located at Camber Sands, East Sussex. 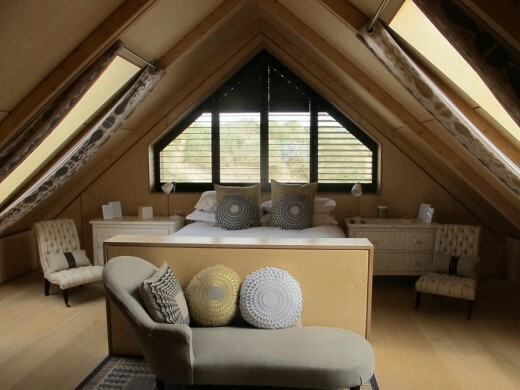 Situated next to the county’s only sand dunes, the four-bedroom abodes are the ideal summer bolthole with spectacular views of the sea and unparalleled access to the beach. The Surface Design Show was this year held from Tuesday 9th – Thursday 11th February 2016 at the Business Design Centre in London. This event is the place to find new and innovative surface solutions, materials and products, featuring the latest materials and products from over 130 exhibitors. 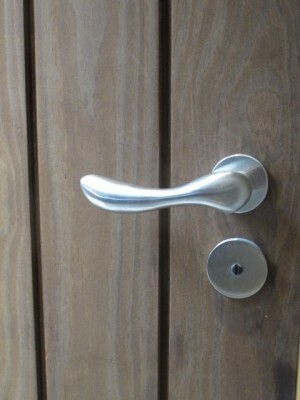 The Awards recognise the most innovative design and use of materials in construction projects internationally, entries are judged on the use of materials, the type of surface and the aesthetic design of the project. The inaugural ceremony was first held in 2013 and it has since grown in size and recognition since and the 2016 awards received 146 submissions for projects across 24 countries. 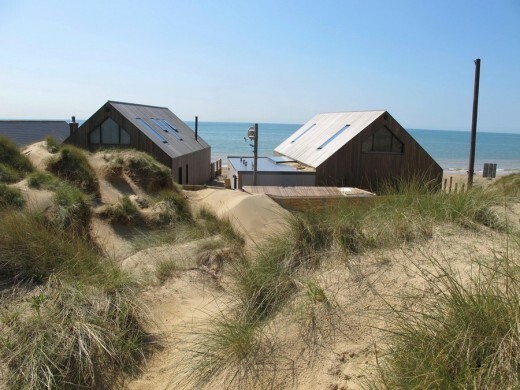 The beach houses at Camber Sands draw aesthetic inspiration from their beautiful surroundings on the sand dunes. 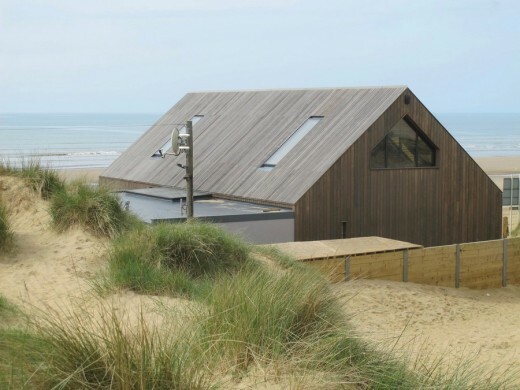 The silver-grey patina of Kebony cladding echoes the natural colours of the dunes and the smooth wooden panelling mean the buildings blend into the seafront. 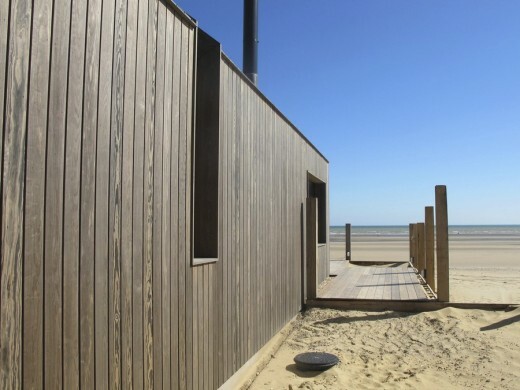 The design utilised recycled and sustainable materials throughout and Kebony was chosen for its environmental credentials and for being proven successful in harsh climates.